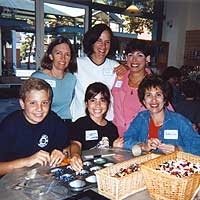 The Alexandra Chiles Challenge began in 2000 as a philantropy to celebrate Alex's life. The Challenge has since grown into a non-profit foundation. This growth has been made possible by the generous support of our sponsors and volunteers. Thank you to the hundreds of people that have helped make this organization what it is today! We couldn't have done it without you! !